Russian Defense Ministry thanks Israel for attacking ISIS terrorists in Syria. Russia's Defense Ministry on Wednesday thanked Israel for attacking ISIS positions in Syria, Sputnik International reported. 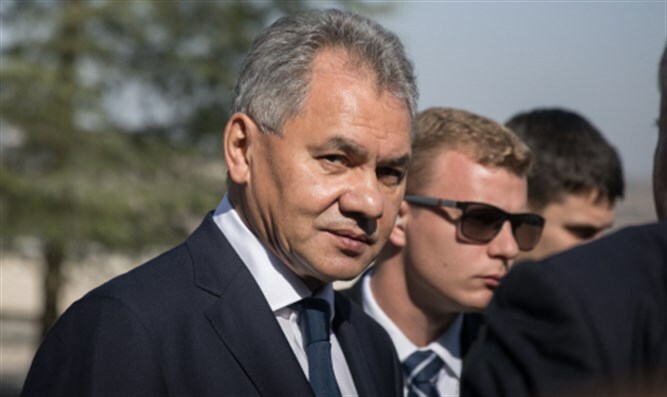 In a statement, the Ministry said, "Russian armed forces' command in Syria used the existing communication channels to thank the IDF leadership for killing terrorists and stopping a massive provocation." "A precision strike by jets and IDF artillery operatively destroyed ISIS terrorists and their rocket launchers." The Ministry also blamed ISIS for trying to provoke Israel into attacking Syrian army positions, Sputnik added. On Wednesday, two Syrian missiles landed in Israel's Kinneret (Sea of Galilee). Following that incident, the IDF attacked Syrian positions.